Mobile is an increasingly important part of the social web. This is particularly true for Facebook, which boasts 1.44 billion mobile monthly active users (as of December 31, 2015). And that’s not all—over half of Facebook users access the site exclusively via mobile (as of January 2016). That’s a lot of people. And a lot of phones. While highly visual content, such as images or social video is certainly on the rise, links are still an integral part of social content. But they can load slowly on mobile, hurting the user experience. That’s why Facebook developed Instant Articles—to improve the experience of reading articles for Facebook mobile users. Instant Articles are fast-loading versions of web articles where users stay on Facebook to view content rather than follow a link to another site. According to Facebook, Instant Articles are “a new way for publishers to create fast, interactive articles on Facebook.” Designated by a lightning bolt icon on Facebook link previews, Instant Articles load as much as 10 times faster than standard mobile websites. 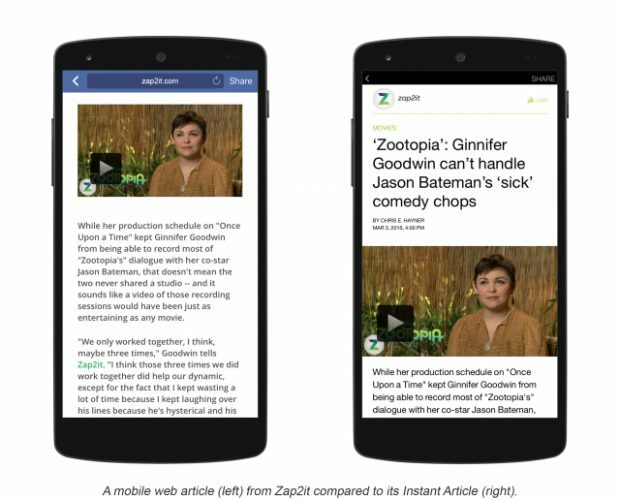 Introducing Instant ArticlesMake your articles load faster in News Feed and deliver a better reading experience for people on Facebook with Instant Articles. Facebook originally launched Instant Articles in May 2015 with nine publishing partners: The New York Times, National Geographic, BuzzFeed, NBC, The Atlantic, The Guardian, BBC News, Spiegel, and Bild. Since then, they’ve worked with “a few hundred publishers around the world” to refine the product. 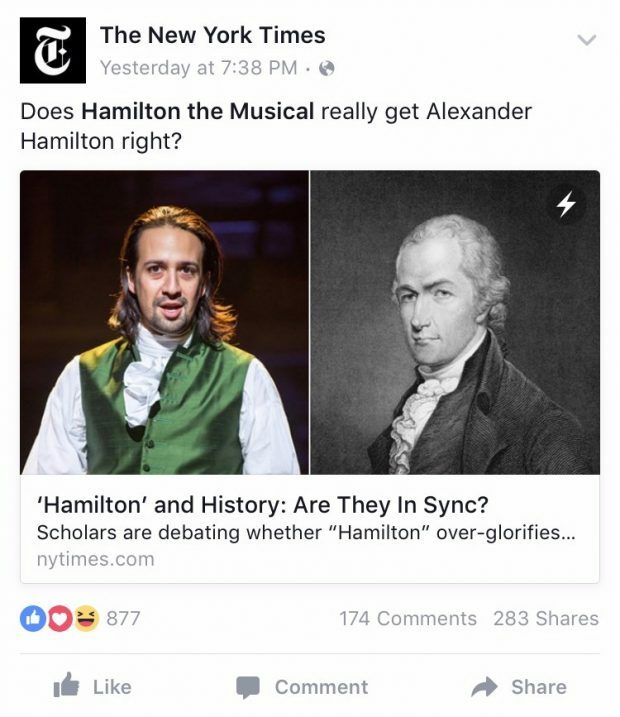 In February 2016, they announced that they’d be opening up Instant Articles to all publishers on April 12. So, because it’s the new big thing in the world of Facebook, we decided that the Hootsuite Blog needs to give Instant Articles a try. 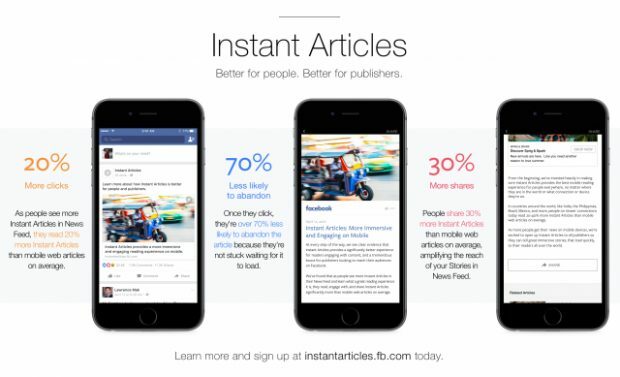 The most critical element of Instant Articles is right there in the name: instant. With this new publishing option, Facebook’s aim is to create a faster, more responsive, and ultimately more enjoyable user experience on mobile. In addition to faster load times, Instant Articles will include rich media elements such as auto-play video and tap-to-zoom images with tilt-to-view functionality—all of which will serve to improve the user experience. Hootsuite is, at its core, a social media company. That means it’s important for us, as a brand, to be aware of what’s happening in social. We aim to be first adopters with new features and updates on social platforms so we can better inform our readers and our customers on best practices. How Facebook Instant Articles appear in News Feed. Screenshot via Facebook. 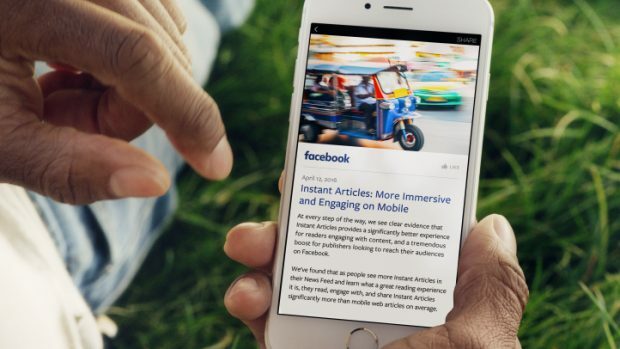 At their F8 Conference on April 12, Facebook announced that Instant Articles are now open to all publishers. They also shared data on how Instant Articles have been performing so far. Not only do Instant Articles receive 20 percent more clicks than mobile articles on average, they also get 30 percent more shares. Additionally, readers are more likely to stick with them; users are 70 percent less likely to abandon an Instant Article, likely because they’re not stuck waiting on slow load times. 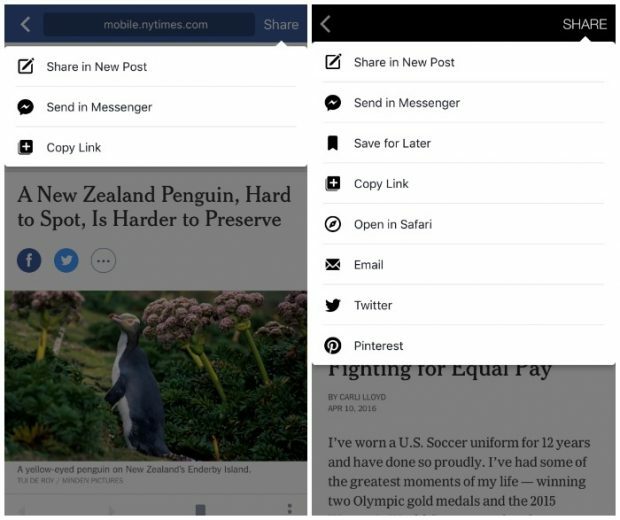 The two screenshots, via Facebook, show sharing options for a standard mobile web article (left) versus an Instant Article (right). Additionally, though this has not been confirmed by Facebook, there’s a possibility that Facebook will favor Instant Articles in its algorithm when deciding what content to serve up to users. This would not be unprecedented—the company recently updated its algorithm to favor Live Video. The update recognized Live Video as a new content type (separate from normal videos), and then adjusted the algorithm to give preference to it, particularly when live. Given this precedence, it’s not hard to imagine the News Feed algorithm being updated to favor Instant Articles because of the improved user experience. If this is the case, then adopting Instant Articles could boost our reach. Our primary concern with Instant Articles (as with many other publishers) is that it may decrease traffic to our website. That’s why for our test of Instant Articles, we’ve set an “alarm number” of five percent. If we experience a decrease in traffic that’s higher than five percent, we’ll reconsider whether Instant Articles is a good fit for our publication. If the change in traffic is less than five percent, then we’ve determined that the positive impact on social reach and shares (assuming that there is one) would negate that loss of traffic to our site. There were a few other things that—while neither explicitly reasons to try Instant Articles nor concerns about the feature—were factors we considered. 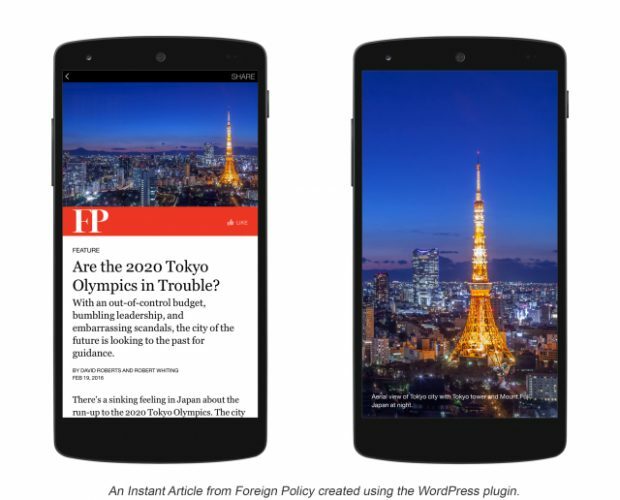 And Instant Article from Foreign Policy created using the WordPress plugin. Image via Facebook. This free plugin simplifies the process of generating and publishing Instant Articles on the back end of publishers’ content management systems. As our site runs on WordPress, we considered this helpful as it meant we won’t have to set up a publication system for Instant Articles using HTML5 and RSS. For content and audience analytics, publishers can choose to use their existing web-based analytics or third-party providers such as Google Analytics, Omniture, or comScore to track article traffic. 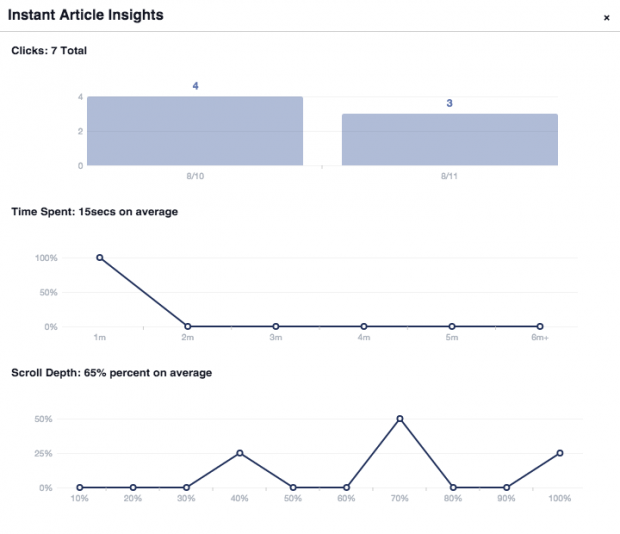 Facebook Instant Article Analytics. Image via Facebook for Developers. The fact that we can use our own analytics system, alongside Facebook Insights to track the results of using Instant Articles was an important consideration for us. We do not run ads on our site and weren’t looking for a way to monetize our Instant Articles, so this consideration wasn’t of key importance to our decision, but is good to know, nevertheless. It’s important to note that even with Instant Articles enabled, non-mobile users will still be directed to the web version of the article, as per usual. Instant Articles are only served up to Facebook users who are accessing the site via mobile (such as through the Facebook app). Desktop users’ experience will remain unchanged and they will not see Instant Articles. A mobile web article (left) versus an Instant Article (right). Image via Facebook. Because we tend to have more desktop visitors than mobile ones (likely due to the subject matter of our site, which is something many users visit at work), we don’t expect Instant Articles to have a substantial negative effect on our overall site traffic. We plan to test Facebook Instant Articles for a full month, at which point we’ll have a close look at the data and decide whether or not it makes sense for us to continue to use the feature. We’ll publish the results of our experiment once it’s complete.